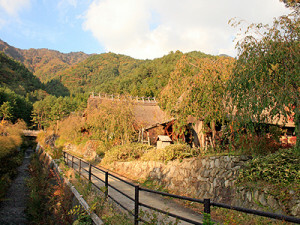 In the Nenba area near Saiko (Lake Sai) there used to be a village of traditional thatch roofing classical farm houses. 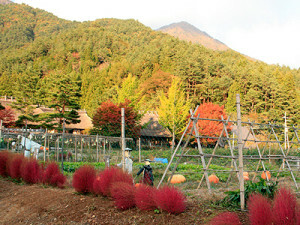 Here, you can see how the Japanese farm villages were like in the old days. You can still see similar built houses in the country side of Japan but to see them in a bunch, formulating a village would surely give you a different image to seeing it alone. 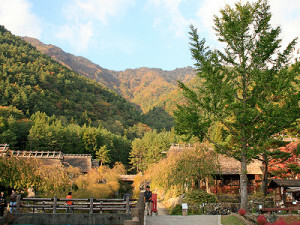 The site was an actual productive farm village until 1966 when there was a big typhoon destroying the whole village. It was then in 2006, when they started to activate the land that once was their ancestors’ by building 20 classical thatched roof houses under the synoecized new town, Fuji Kawaguchiko-cho. 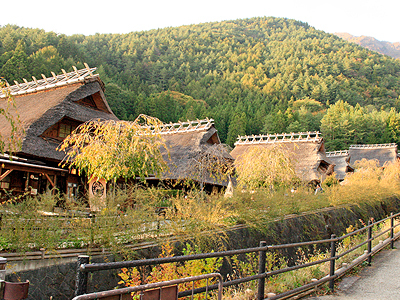 This project of re-creating the early Showa eraW Nenba village was completed in 2010, now serving people with an image of the Japanese archetypal scene. You could enter some of the houses and look inside to see how the Japanese lived in the old days. The layouts differ from their family business, which is interesting to see, compared to those of the other countries outside Japan. Among them there are 5 special shops where you can experience the traditional handcrafts such as paper making, paper doll making, and pottery making where you could D.I.Y. and take it back with you as a great souvenir! 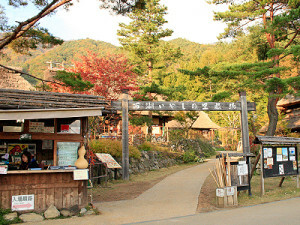 Apart from making your own souvenir, you can buy some at the 2 souvenir shops in the site. There are also 3 restaurants where you can feed yourself with traditional district menu. 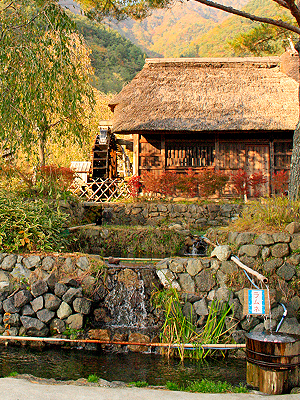 House with a watermill grinding wheat or buckwheat to make ‘Soba’ or ‘Udon’. Finally, we must admit that reaching this lovely village could be little hard. Find the sign board below while you are on ‘National Route 139’ near the spot. Follow the way the sign board is showing and you’ll get there alright. 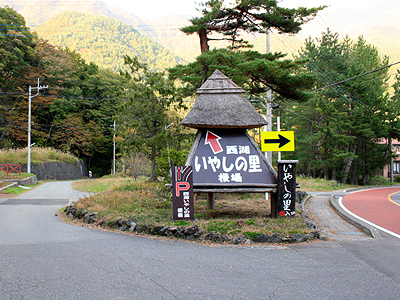 Sign showing the way to the ‘Healing Village, Nenba’.